You may be wondering: “Should I apply for an internship in Washington, DC?” I was in the same boat fresh out of college. The options were vast, graduate school, part-time work, traveling, and more. At college, I postponed applying as so many do. Given the opportunity again, I'd do it differently. Many students go to college far away from their families; summer break, therefore, is a chance to spend some time with loved ones. However, summer is also the perfect time to get professional experience in D.C. If you are in your senior year and really would like to get your foot in the door, you can also apply for internships during the spring or the fall. You'll find about the same number of roles available, but organizations recieve a significantly smaller number of applications, and therefore spring and fall internships are less competitive. And you should know. It's competitive! Organizations like CATO, The Heritage Foundation, Americans for Prosperity, and the Leadership Institute receive vastly more applications than we have positions available. But if you take the process seriously, and do your research, there's no reason why you should fail. Here are five benefits of interning while you are still in college: 1. Personal Development: Internships are about more than performing the responsibilities assigned. The best internships invest in people, teaching you professional skills, challenging you, and providing experiences that inspire you to want to succeed in your career. Even by applying you'll learn how to build your resume and prepare for an interview. On the job you'll learn how to write professional emails and speak in public. Those skills are essential and will help you much more in the long term than just listing an organization on your resume. 2. Networking: D.C. is a city fueled by connections. If you are out of sight, you are out of mind. That is why interning while you are at college builds those solid relationships which will be so important when you graduate or apply for your next internship. 3. Freedom of expression: Take a break from liberals. If you are in college, chances are you are in the minority as a conservative. Many colleges act to suffocate open political discourse, and as a conservative, you are likely on the receiving end of leftist abuse. Come to intern in the conservative movement where your principles are valued, and you can learn to tackle leftist abuses on your campus. 4. Discover your talents: Interning in D.C. is about gaining practical experience. It helps you confirm what you want to do, and what you do not. Many interns come to DC, and their internship confirms that they do indeed want to work on the Hill, for a think tank, or a non-profit. Others learn that it's not for them. Both lessons are equally valuable. 5. Head start: The difference between the graduates who get a well-paying job out of college and those do not is internships. If you are forward thinking and you get that experience early, you will hit the ground running after graduation. If you do not, you will find yourself left behind. So which will it be? A few days ago, LI president Morton Blackwell told me that when he was a college student at LSU, he and his friends heard Milton Friedman was available to speak for free at Morton's campus group. They were eager to bring such a distinguished intellectual to their university! This “free,” of course, meant he wouldn't charge any amount for himself, but the hosts would have to pay the travel and accommodation costs. In the end, there was no free Friedman. One of the most famous Milton Friedman quotes states, “there is no such thing as a free lunch,” an ironic response to the tremendous demand for “free stuff” by the socialists he debated. The phrase meant that no government program is free. The taxpayer always pays (an expensive bill) in the end. The first time I heard this quote, I was an 18-year-old college freshman at the University of Brasilia back in Brazil, my home country. I was taking an Introduction to Economics class, and the professor repeated the quote while explaining the foundations of microeconomics. That stuck in my mind. I was not a socialist, but I believed that more government intervention – more of the right intervention – could work. I thought that because I always looked at the benefits of government programs while ignoring the costs. That quote changed everything. From that day on, I would always remember that there was no free lunch, and government programs cost too much and deliver too little. In the last two weeks, I have finished re-reading Milton Friedman's book Capitalism and Freedom, as part of my LI internship book discussion program. I felt the passion my friends and I expressed during the debate over the need for more school choice and less occupational licensing regulations in the US. Friedman was part of my freshman year in college and now is part of my freshman year as a young professional in DC. His ideas are as relevant today as they were when he wrote them. They are relevant not only in the US but also in Brazil. So relevant that Folha de Sao Paulo, the #1 national newspaper in Brazil – read by more than 20 million people every month – published an editorial within the last few weeks that has a title inspired by Friedman's quote. The article, a harsh critique on excessive regulations on airline companies, also mentions Friedman's quote in both the introduction and conclusion. Friedman won the Nobel Prize, advised President Regan, wrote best-sellers, made a TV series about economic freedom with Arnold Schwarzenegger, and now serves as inspiration for us at the Leadership Institute (LI) and even for big newspapers. Not bad at all, right? Morton always says: “In politics, nothing moves unless pushed.” Friedman pushed. Now LI keeps pushing. Max Rubio won a trip to Washington, DC. Three weeks to see all the sights, three weeks to breathe in the fresh air of politics, and three weeks to gain a crash course in communications training. Max, from Chile, is studying business administration and economics at the University of the Andes. He explains his involvement in his student body as an “active student leader in the libertarian student movement called Alternativa Libertad.” Max is no stranger to the Leadership Institute. 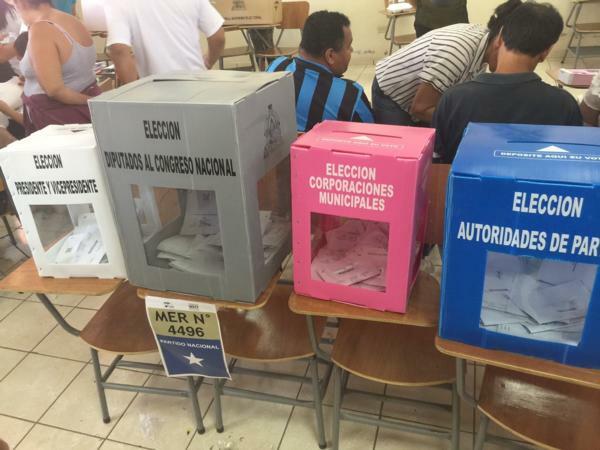 In December he participated in LI Chile with Dario Paya in “a two-day school with workshops on how to mobilize people, win elections, and how to get votes,” Max recounts. Thirty-five attendees competed in the school for a trip to DC and to visit the Leadership Institute in Arlington, Virginia. Eight tests later, Max emerged the winner. Three weeks after Max landed in DC, I met up with him to recap his adventure. AC: What was your favorite part of DC? MR: Definitely my favorite part of DC was the feeling of the city. The peak of both intellectual and political worlds met there and you could feel that in all the city. Events like International Students for Liberty Conference (ISFLC) and Conservative Political Action Conference (CPAC) were the maximum expression of this sensation. My favorite place was the Library of Congress though. AC: What was your best memory? MR: My most cherished memories will always be the conversations I had with friends I made during my DC stay. Also, trivia night at Oz [a local restaurant]. AC: You mentioned your group is a libertarian student movement (Alternativa Libertad). What do you hope to achieve or to promote as a student leader in Chile through this movement? MR: Alternativa Libertad (and I) promotes the ideals of a free society, to teach people about the reduction of state influence in our daily lives, and defend the ideas of freedom and justice in our university and country. AC: Which LI communications trainings have you taken in your time here? MR: Advanced Debate with Dr. Shosky, On-camera TV Workshop with Elizabeth Peace, and the Public Relations School. AC: Which training do you find may be the most help to you? Why? MR: Probably the Public Relations one because it's more comprehensive. I've already started implementing some things. The social media class especially. I manage the social media for my group so the change has been pretty instant. AC: That's awesome. How do you plan to make changes to your social media specifically? MR: Probably through the expansion of it. So far we're too focused on Facebook. We have Twitter and Instagram [accounts], but they're a little forgotten. The training convinced me we have to start using Twitter and Instagram, not as extension of Facebook, but [for] what they're good at. Twitter to make things viral, and Instagram not to expand the message but to convince your people and to further relationships. So I've started re-activing our Instagram and Twitter accounts. I'm probably going to open a Snapchat account soon. AC: So given what you've learned here, what would you tell someone needing comms training? MR: Well I'd definitely recommend they take Chilean LI training or come to DC for more specific trainings. As to what I've learned, I'd teach them mostly that you can never underestimate the power of social media and communications. Especially in this day and age, most people aren't going to see you in person so a lot of work has to be put into your comms department from social media to whoever manages your email to your press releases. AC: How do you anticipate using the training you've received here at LI to continue your career as a student leader? MR: I'm taking these lessons, what I've learned, back to Chile to hopefully set up a campaign for legislation and student council. Fifty percent of congressmen are student leaders before they're congressmen and run full blown actual campaigns. What I've learned in my passing through here, I plan on taking it back and helping my student group with student federation for 2017. As I finished my questions, Max asked if he could say one more thing: “I'd like to thank LI for being such gracious hosts. They've gone above and beyond what I expected from it. I'm grateful for that. You guys got me lodging and into CPAC. You could've done half of what you did, and I still would've been grateful. I feel like you've gone the extra mile. 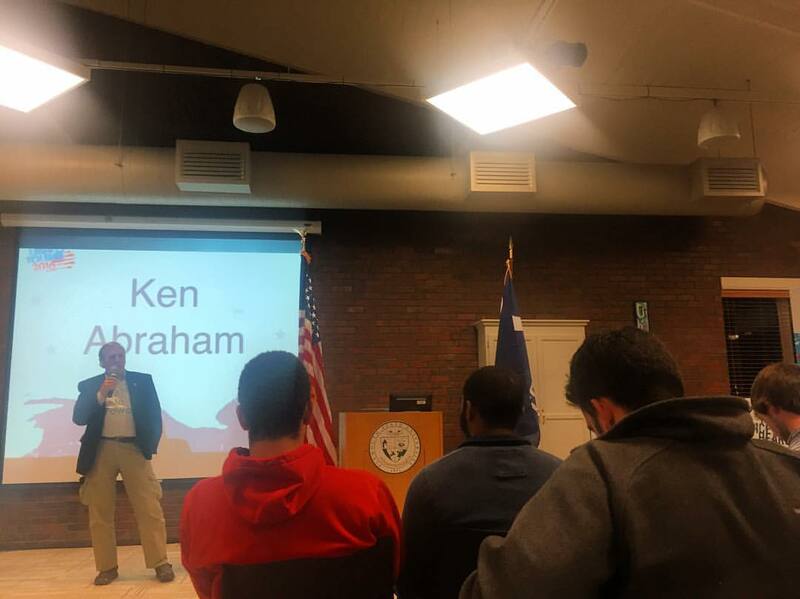 That makes me feel special and grateful.” The Leadership Institute offers more than 47 types of training programs, working with more than 1,873 conservative student groups, and helping employers connect with conservative job seekers. Since the Institute's 1979 founding, LI has trained more than 182,327 conservative activists, students, and leaders. Graduates include members of Congress, state legislators, local officials, media personalities, and conservative organization leaders. When you begin your professional career, you'll start to notice a pattern developing. Work will begin to encroach on every part of your life. However, if your job is your first, second, and third priority, there's good news, you can still enjoy your downtime and focus on your career by choosing hobbies which advance your skills. For example, nobody likes that one colleague who can only talk about politics. Something as simple as being able to talk about sports, traveling, or cooking during an interview can mean the difference between you getting the job or not. So here are four ways you can enjoy your downtime and advance your career. Physical fitness – Being physically healthy is not the easiest thing in D.C. Especially if you work at Leadership Institute (LI) with a Cheesecake Factory around the corner! But when you're sitting at a desk for 8-10 hours a day, you need to focus on your physical well-being. Exercise increases blood flow to the brain which makes you more mentally alert. You will also have more energy, allowing you to wake up earlier and work longer. Finally, it's a well-known fact that exercise reduces stress. Education – This can cover all manner of possibilities, from reading a book to visiting museums or studying a course. Something as simple as switching off Netflix and picking up a good book will improve your writing ability and your creative thinking. Also improving your education will make you better able to match your colleagues intellectually in conversation. Taking new courses in language, business, etc. may be tough, but having that diversity of skill will make you more promotable and allow you to explore new career opportunities. Creativity – Think about ways you can become more creative. Challenge yourself! Perhaps it could be through learning a musical instrument or learning to paint and to draw. This would dramatically improve your ability to be creative at work and expand your horizons. Joining an acting club would be a chance to make new friends and improve your confidence speaking in front of others. Volunteering – Be the person in the office who cares about his community, who holds fundraisers or requests sponsorships for the next half marathon (although not too often). People are far more inclined to help you if they know that you're the type of person who helps others. This hobby could also be a great way for you to organize office events, in which people come together outside of work, and you can get to know your colleagues better. There are plenty more examples of how you can use your spare time productively to enjoy yourself while contributing to your career. So if work is your highest priority, that doesn't have to prevent you from having hobbies and interests. Invest in yourself! The Leadership Institute offers more than 47 types of training programs, working with more than 1,873 conservative student groups, and helping employers connect with conservative job seekers. Since the Institute's 1979 founding, LI has trained more than 182,327 conservative activists, students, and leaders. Graduates include members of Congress, state legislators, local officials, media personalities, and conservative organization leaders. We all know that person. You know what I mean, that person who chews loudly, talks incessantly, or – my personal bad habit – leaves sticky notes everywhere. These attributes can quickly lead to tension within an office. But tension really begins when political views come into play. How do we know when to defend our values and when to respect a professional environment? As a current intern at the Leadership Institute, I have the privilege to work alongside like-minded, passionate individuals. However, past work experience taught me three important lessons about respectful political conversation with the people I see at the same cubicle every day. Don't spike Punchy political one-liners may be funny around other conservatives, but they quickly shut down any valuable conversation between opposing viewpoints. Always promote discussion. It is respectful conversation that changes a person's mind. In good conversation, each person is like a volleyball player “hitting” the conversation back and forth. If one player spikes the ball, the conversation – and opportunity to convince someone – is over. Pick your battles Don't fight every issue every time. Sometimes in an office it is simply inappropriate to talk politics. Read the situation and practice discretion. I know, it is hard to stay silent. But picking your battles means that when you do engage, it is more meaningful and your coworkers will not be exhausted by constant political banter. It's not about you The Leadership Institute works hard to promote a movement and not build an organizational empire. Conservatives must be team players committed to principles. If we enter a conversation trying to prove that we are right, we will always lose. This is not a time to prove how smart we are. It is not enough to be right. We must also be tactful. Well-timed, respectful conversations can change minds and influence movements. Check here for updates on the Leadership Institute’s office hours and trainings. Updates on the Leadership Institute's office hours and trainings. The Comprehensive Fundraising Training is still scheduled to begin Tuesday, March 14. Digital Creative Workshop: Design - Cancelled All Online Training will start on time. If you signed up for housing, the dorms are also available for check-in tonight. Any further changes or announcements will be posted here. Please monitor local weather reports and travel safely. The leadership Institute will grant 100% refunds for any cancellations this week. To conservatives, the non-profit sector is an increasingly attractive career path -- and it's not surprising! It is an exciting time to be involved, the job opportunities are vast, and conservatism is making an increasing impact in America. I offer you 6 reasons why you should work in the non-profit sector. 1. Jobs which produce tangible results are the most satisfying. My co-workers and I see tangible results of our work every day. The individuals who come to the Leadership Institute for training in professional skills get jobs. People who come to LI for campaign training get elected. People who LI trained in television techniques represent our movement on national television. Working for a non-profit means you get to see the effects of your hard work. 2. The conservative non-profit sector is a small community. For those who are ambitious and talented networkers it's easy to move around. Within the DC non-profit sector, those in the conservative movement speak at each other's events, co-sponsor projects and hire each other's staff. Most recently, the Leadership Institute, The Heritage Foundation, and others played a significant role in staffing the administration. The ripple effect means they are vacating jobs in the non-profit sector, for which you can apply. Also, small teams make the best of friends. D.C. can be a daunting place. Those who move here to pursue career ambitions often leave families and friends behind. In the non-profit sector, because there are often such close ties between staff inside and outside of your organization, it is easy to make friends and become part of a community. 3. Are you creative? The non-profit sector is the place to experiment with new ways of doing things. If you're a forward thinker, if you want to pitch a new idea or project, or perform more efficiently, the non-profit sector is the place to do it. Remember, non-profits are accountable to donors, so it's not just the private sector that innovates. Non-profits, like the Leadership Institute, are consistently innovating to ensure we are leading the movement forward. 4. You're not just a small cog in a giant machine. To ensure value for every donor's money, new staff are hired to fill critical roles. As a result, you are an important and valuable member of the team from day one. If you're a person who enjoys responsibility, and you want to push yourself to achieve in your day-to-day work, then work at a non-profit and push yourself. 5. There's diversity of opportunity. Non-profits like the Leadership Institute offer a multitude of possibilities. Staff are transferred between departments so their talents are utilized effectively. Therefore, whether your talents are in research, fundraising, events, or public speaking, you have the opportunity to involve yourself in many responsibilities. Also, the non-profit sector in the conservative movement is thriving right now. Just look on ConservativeJobs.com. You'll see the numerous positions available to you. Whether you're looking for an internship or an executive level position, there are hundreds of opportunities waiting for you in a multitude of departments. 6. Last, but not least – you're fighting for a cause bigger than yourself. To those in the conservative movement, seeing the enactment of conservative principles into the public policy realm is not just a news story, it is something to which they have actively contributed. Those policies then go on to benefit Americans and the world over. It's a crucial mission, and it's a privilege to be able to play a role in it. So if you're about to graduate, want to challenge yourself, change careers, or whatever your situation, consider working for a non-profit. Are you up to the challenge? If yes, then get started with Leadership Institute training today. You may recognize Antonia Okafor from her many guest appearances on the Blaze, NRA TV, and Fox News. She is also a Campus News Correspondent for Independent Journal Review where she works to expose liberal bias and abuse on Texas college campuses. Her official website AntoniaOkafor.com has the following blazed across the top: Black, Armed, and Conservative. Antonia knows she doesn't fit the “normal” stereotype of a conservative gun activist but she's getting her message across to the media regardless. “There's definitely a lot of shock factor as I'm not the ‘typical conservative'. It's opened a lot of doors with being able to have people listen. Whether it's plain curiosity or genuine interest, I think being someone who is contrary to the typical conservative helps people want to listen.” Antonia is currently a student at the University of Texas at Dallas but aims to bring new female perspective to gun rights and regularly advocates for campus carry policies. Her own passion for campus carry often brings her into the cross-hairs of feminism and right to self-defense. “For me it's an empowerment issue. Being a feminist came first and the gun rights issue came after. I became so passionate above advocating for campus carry and the right to self defense because I strongly believe every woman should have the choice to decide which form of defense is right for them. That includes guns." 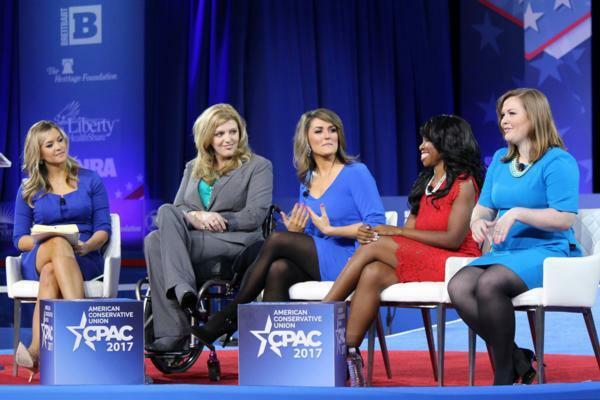 Most recently, Antonia co-headlined the Armed and Fabulous panel at CPAC 2017 with fellow female gun rights activists Kimberly Corban, Ashlee Lundvall, and Kristi McMains, moderated by Townhall's Katie Pavlich. Before her rising success and spotlight in the media, starting in 2015, Antonia attended twelve different Leadership Institute trainings including the Youth Leadership School, Future Candidate School, Comprehensive Fundraising Training, Digital Communications Workshop, Television Workshop and more. “The Leadership Institute is what inspired and equipped me to be a successful advocate and voice for the campus carry movement. I knew how to relay my message effectively because of their generous Campus Reform student journalism program and their media training.” Antonia was later inspired to start a Network for Enlightened Women chapter in Texas because she attended LI's Women's Leadership Workshop where she met Karin Agness, founder of NeW. “Before then, I had no idea that the conservative values I hold dear could be an effective way to empower women who are turned off to the radical leftist feminism movement of today. Because of LI, I can 100% say that I am effective today because of them. I will forever be grateful.” When asked what advice she would give to young people in the conservative movement, Antonia paused for a second to think. Her answer that followed was resolute. “Network. Get to know people. Go to conferences and meet people. You never know where you will be a year from now, and a lot of times, it's people you meet that will give you that opportunity you want so much.” The Leadership Institute thanks Antonia for her dedication to conservative principles and congratulates her for her nomination for LI's Conservative Leader Award. To nominate a Leadership Institute graduate or faculty member for the Conservative Leader Award or Conservative Leader-In-Training Award, please contact LI's Director of External Affairs Carol Wehe, at Carol@LeadershipInstitute.org. The Leadership Institute offers more than 47 types of training programs, working with more than 1,887 conservative student groups, and helping employers connect with conservative job seekers. Since the Institute's 1979 founding, LI has trained more than 182,000 conservative activists, students, and leaders. Graduates include members of Congress, state legislators, local officials, media personalities, and conservative organization leaders. For more information, please visit www.LeadershipInstitute.org. The conservative movement is formidable -- why? Because we're a family. Our organizations work together, share ideas, collaborate on events, and promote each other's staff and interns. Anybody who works in the movement will be able to list their many friends in think tanks, non-profits, lobby groups, and on the Hill. And, like any family… we have our challenges. We don't always cooperate the way we should, and we don't always speak with one voice. But we have a common purpose, and it drives us in the same direction. If the conservative movement is a family, then CPAC is Christmas dinner. The time when we all come together to catch up with old friends, celebrate our victories, commiserate our losses, trade ideas, network, and discover new opportunities. In this blog, I want to talk to you about the opportunities at CPAC, because CPAC is about so much more than big speeches, and selfies with members of Congress. CPAC is a chance to learn new skills! The Leadership Institute will run a Campus Activism Bootcamp, to teach you the core skills to fight liberal bias on campuses, draw attention to your activism, create student groups, change policy, and expose biased professors. Top lawyers will teach you the laws of academic freedom so you know when your rights to freedom of expression are breached. You will also learn how to draw attention to your activism and events through digital and social media efforts that have made many conservatives famous, and also given a platform for ideas mainstream media won't discuss. In addition, the Leadership Institute will run a Career Bootcamp to give you the skills you need to secure your next job or promotion in the movement. Learn to network with top conservatives, boost your resume, and stand-out at interviews. There will also be panel discussions with major recruiters from the movement, private sector, and beyond. Those of you serious about your futures should not miss out on this chance to question them and learn what you can do to work in the movement. To help you with your current job search… the Leadership Institute will be running Career and Resume Consultations throughout CPAC. Come find us! A few things to remember: Don't neglect ‘horizontal networking.' By this, I mean networking with people who are at the same professional level as you are. They are future leaders; they are also your connection to partner organizations who can help you in your endeavors. Get your business cards ready, and make sure you follow up with every person you meet. You never know whose recommendation will secure your next opportunity. Also, CPAC's true opportunities are waiting for you outside of the main conference hall. Go to as many lunches as you can manage, and as many after conference dinners as possible. The best networking happens in relaxed environments. CPAC is also a place to learn new skills and ideas. Go to the panel discussions, and learn from the experts in the areas of policy you agree with, and those you don't. CPAC is a chance to broaden your mind! The movement is growing, and CPAC is a great opportunity to put your foot on the door. Morton Blackwell, says in his Laws of the Public Policy: “Never miss a political meeting if you think there's the slightest chance you'll wish you'd been there.” This is one event you're not going to want to miss. I look forward to meeting you at what promises to be an eventful CPAC 2017! Find out more about Leadership Institute's six CPAC events at LeadershipInstitute.org/CPAC. Register for CPAC here. Rioters on UC Berkeley's campus shut down a student club's speaker event, setting fires and causing damage. 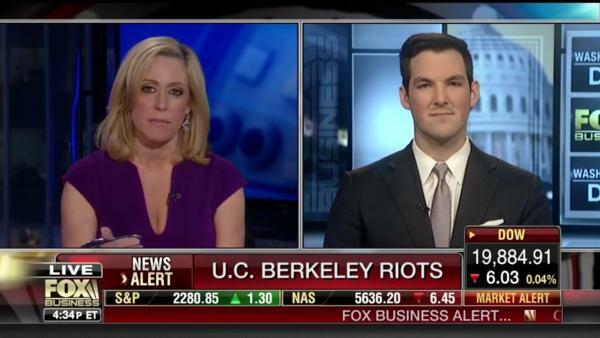 "This is not an isolated incident," said Cabot Phillips, a Leadership Institute reporter for Campus Reform, discussing the Berkeley Riots on Fox Business. Watch as Cabot discusses the dangerous tactics leftist protestors are using to silence speech they disagree with. Many Americans are asking when university officials and government authorities will stop campus violence and protect free speech. Leadership Institute's Campus Reform has been covering the riots and subsequent attacks on conservative students. "This is first class work by Cabot Phillips and our Campus Correspondent at UC Berkeley," said Leadership Institute President Morton Blackwell. Follow this story and more like it at CampusReform.org as #liberalprivilege thugs terrorize colleges and universities. Student groups can struggle with a balance between recruitment and activism. 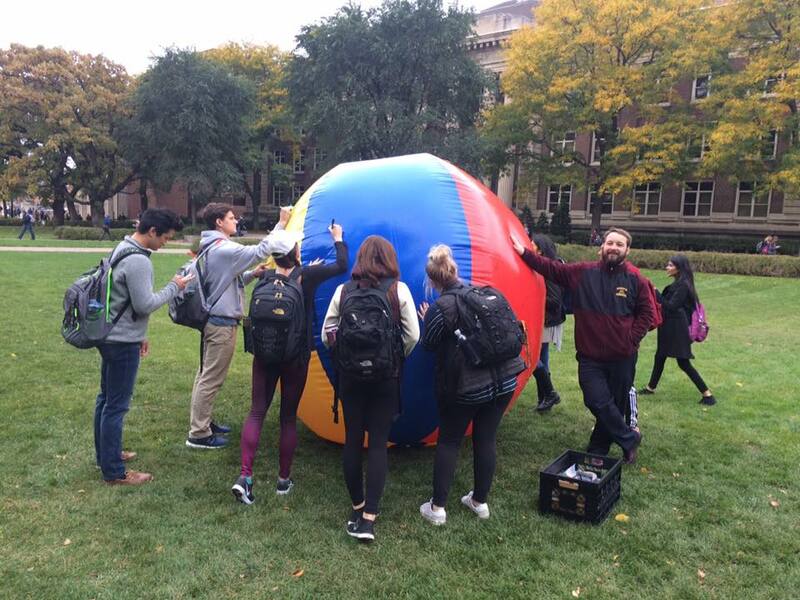 The Young Americans for Liberty chapter at University of Minnesota - Twin Cities tackled both when they hosted a successful free speech ball event. They interacted with nearly 200 people and informed them about the free speech rights students have and about unconstitutional speech policies on their campus. The group also successfully signed up several new members to expand their group. Your campus group can bring similar events to campus. Contact your Regional Field Coordinator to get started on hosting your own activism and recruitment event. Delving into the Mind of the Interviewer: What Are They Asking You? Has an interviewer ever asked you a question that completely threw you off your game? Don't worry; it happens to the best of us. No matter how well we prepare -- we cannot anticipate every question. And to make it harder… weird interview questions are becoming fashionable! I've heard that Google and Facebook like to ask what kind of superpowers you'd like, others may ask your favorite color, or what kind of tree would you be? As if interviews weren't hard enough! As part of my role at the Leadership Institute, I help conservatives prepare for interviews. In the context of this, I ask standard competency and some strange interview questions with two goals: determining how they answer and whether they can decipher why I have asked the question. One of my favorites is: “If I gave you a million dollars, how would you spend it?” If I had a million dollars, between you and me, I'd hire Gordon Ramsay to come to my house and give me private cooking lessons! Joking aside, I want to use this blog to help you read the interviewer's mind. By this I don't mean telepathy -- I mean delving into the motive behind the questions to understand what the interviewer is truly asking you. Introductory Questions: These are questions you should have rehearsed answers to. The key is to know what quality the interviewer is asking you to show them. For example: What is your greatest weakness? Nobody is perfect, so clearly you have a weakness, mine is written communication and an excessive coffee addiction! What the employer is looking for is recognition of where you have to improve and also what action you are taking. Admitting a weakness isn't a bad thing. Just remember what the employer is looking for. On this occasion, they're interested to see whether you practice self-improvement. Other introductory questions may include: describe your work style, or your motivations. How do you measure success? Etc. Questions About the Organization: This is where your prior research is essential. It is unlikely that the interviewer will try to trip you up here. You're not expected to know how many members they had in 1982; it's not trivia! But there is no excuse for failing to do basic preparation. You should be aware of the mission, the core breakdown of the organization, recent news stories, and the management. What does the interviewer want from you? Evidence that you care about the organization, that you applied to them for a reason, and that you are committed to their goals. For example: Why do you want to work for this organization over others? This is a multilayered question, but the basic premise here is to find out whether you're passionate about them. Do you know about their work? And perhaps any further involvement they have in their community or charities? Are you aware of their competitors and challenges they're facing? Basic research preparation is key. Other questions may include: what's your favorite thing about working in this industry? What challenges are you looking for in this position? Etc. Situational Questions: I'll be honest here… these questions are hard. Sometimes they can be unpredictable, and the answers you prepared can suddenly become irrelevant. I was once asked to describe an occasion when I had come up with a creative solution to a problem. I could demonstrate my problem-solving skills, but what qualified as a ‘creative solution?' The key here is to stop, think, and offer an example of how you demonstrated that skill, what you did well, what you would do differently, and what the result was. When asked to describe an example, don't be afraid to say: “that's a good question, may I take a moment to think about it?” It is better to take the time to think than to rush into an answer. An example of this is: When have you taken the initiative and what was the result? Stop to think about the job; what skills are they looking for? Then think about the best example and answer the question including what you did, how people reacted, what you achieved, and what you would do differently. Other examples may include: Tell me about a time you led a team; or tell me about a time you disagreed with a manager. Weird and Wonderful Questions: These are very unpredictable, and as such, there is not much you can do to prepare for them. Just remember to show your personality, don't be afraid to tell a light hearted joke or demonstrate your ability to work well with others. An example may include: What do you like to do in your free time? On a question like this, you're being asked whether you have any passions or interests beyond work that make you attractive. Remember many organizations have clubs. If people are going to work with you day-in-day-out, they have to have reassurance that you're interesting! So talk about sports or talk about your friends. Other questions may include: If you could have one wish? If you could have a super power?. Management Questions: These questions aren't just for people looking for management jobs. They are an assessment of what you look for in a leader and, therefore, your ability to work with your supervisor. They can also be an evaluation of whether you have the potential to be a leader, remember organizations like to hire people who have long-term potential, especially if they're committing time and money to training you. Think about what a real leader demonstrates: delegation, strong communication, and an ability to encourage and motivate, then reflect on how you have shown these qualities and on examples of when your previous managers have shown them. For example, did you like your last supervisor? Unless the circumstances were truly exceptional you should always say yes; remember the D.C. community is a small world and word travels fast. Say what you liked about their leadership style, what you learned from them, and what you wanted more from them. Remember they are looking to see whether you will work well under their direction; you want to come across as somebody who can take instruction but also add to the team. Conclusive Questions: This is the most common mistake in any interview, yet it's so simple! There is only one conclusive question, and that is: Do you have any questions for me? Yes, you do!! This question is an interview question! And yet so many people don't answer. The interviewer wants to know if you've thought about the job, the company, and whether you're curious to know more. If you don't ask questions -- you don't care. Have five pre-set interview questions on hand with the expectation that a couple of them will be answered in the course of the interview. Then you should aim to ask two or three of them. They should be about the organization and its ethos, management, people, etc. Here are five questions I recommend: What are the biggest problems facing this department, and how do we solve them? Who are the people I will be working closest with, their names, and job titles? How do you measure success? Ask about activities outside the workplace e.g. social life, charity work. Do you have any further doubts about my ability to do this job that you would like me to address? (My personal favorite. Either the recruiter admits you're perfect for the job or you get the opportunity to address any underlying concerns still prevailing.) Finally, if you would like a list of questions you should consider please look at the Leadership Institute's Jobseeker Guide. We are here to assist you with your career goals so if you have an upcoming interview which you are nervous about, please get in touch with your questions. When you're faced with unconstitutional policy on your campus, it can be overwhelming to find a line of attack. The students in the California Freedom Project at California State University in Northridge, a group which works to advance free market and constitutional principles, used their Leadership Institute training to draw attention to the unconstitutional speech code on their campus. 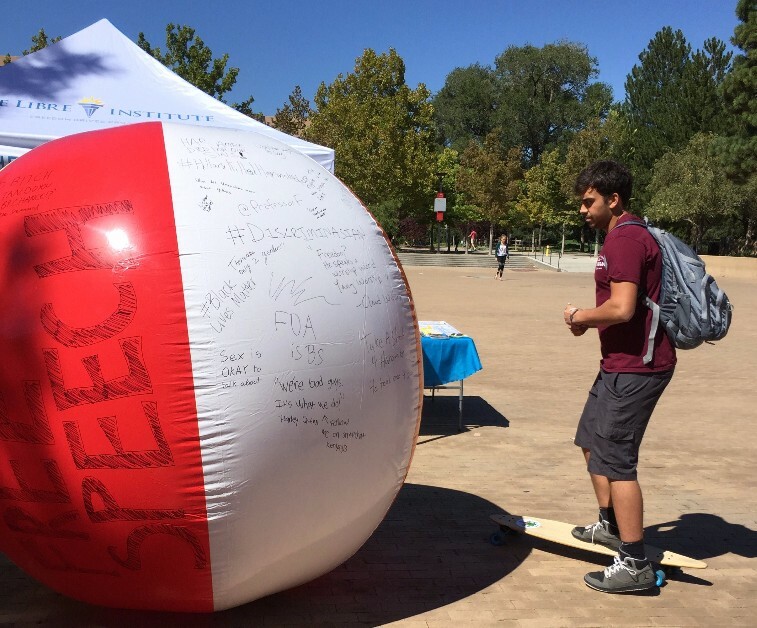 In addition to a successful free speech ball activism event, the group also started a petition campaign calling for the end of the policy requiring a permit to distribute literature and for the 23-campus California State University system to remove such restrictions. The petition received more than 130 signatures during the activism event. The Leadership Institute can help you and your campus group with activism events and provide the training and the resources you need to succeed. Contact your Field Representative today to learn how the Leadership Institute can help you. Activism Success: Conservative School Newspaper Exposes "#StopWhitePeople2K16 RA Training"
When you experience liberal bias on your campus, finding a way to expose it can be a challenge. Resident Assistants at Binghamton University in New York came face to face with that bias during their training when one of the breakout sessions was entitled #StopWhitePeople2K16. Binghamton Review, the school's conservative newspaper, broke the story and asked school administrators about the training. School administrators initially stood by the name of the training. But, thanks to the hard work of the journalist at the Binghamton Review, the story was featured on the Leadership Institute's Campus Reform, the Drudge Report, Fox News, and was trending on social media. Shortly after, the school apologized for the name of the training. When liberal bias strikes your campus will you be ready? You can submit stories to the Leadership Institute's Campus Reform and get paid, or you can start your own conservative student publication. Contact your LI Regional Coordinator to learn how to bring the Conservative Student Publication Training to your school today. At the beginning of each semester, your goal is to reach as many new students as possible. A great way to do that is to host a week of activism. 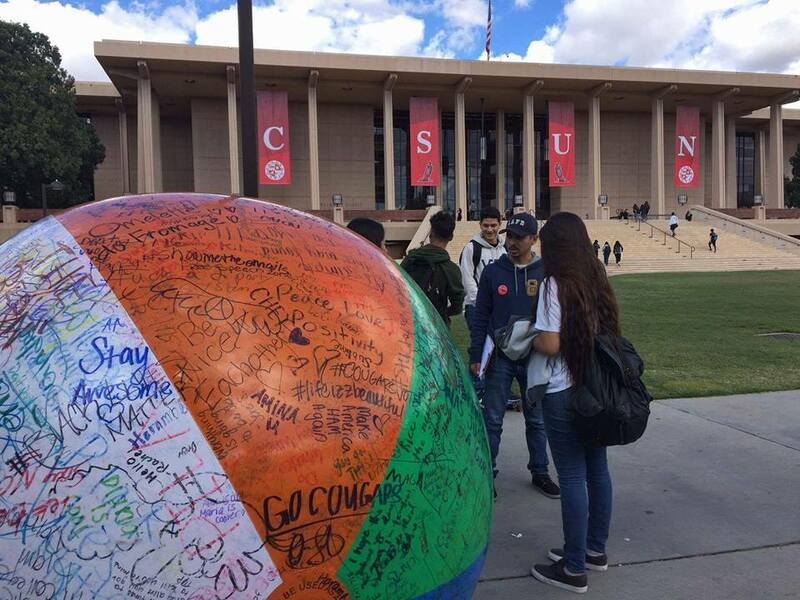 Students at the University of New Mexico in Albuquerque kicked off the fall semester when several conservative groups formed a coalition on campus to further conservative principles. Young Americans for Freedom and Young Americans for Liberty both requested activism kits through the Leadership Institute and put on a week of activism. The week started with a 9/11 memorial, and then moved into activism projects which highlighted liberal bias and unconstitutional policies on their campus, from free speech to “PC” Police Activism Kit. The Leadership Institute's trained Field Representatives are ready to help you and your organization host one activism project or a week of activism projects. Contact your Field Representative today to learn more. Even the most confident people are nervous at interviews. Who wouldn't be? A lot is riding on a 30-minute conversation where your personality and career successes are scrutinized. I bet you can remember your worst interview; I do! I had researched thoroughly. And as always, I showed up 15 minutes early to scan through my notes one last time in the busy public lobby. Eventually, my name was called, and I took the endless walk down the oak paneled corridor to the interviewer's office. I sat down in the overheated room and faced my interviewer. It was tough! The questions were in-depth, and my interviewer was giving nothing away in his reactions. As the interview progressed, I was becoming more and more in need of water. My nerves and the heated room caused my throat to dry up, and I could barely speak. Too keen to impress, I did not dare ask for a drink, and I had not brought one with me. Approximately 20 minutes in, I could not speak at all, except in a suffocated whisper. The interviewer, now concerned for my wellbeing, got up from his desk and left the room in search of water. By the time he returned 10 minutes had passed, by which time he had no doubt forgotten anything he had liked about me. I didn't get the job. I was unprepared. I learned failing to prepare is preparing to fail! We can be our worst enemies in an interview. Sometimes we don't have to be tripped up by a difficult question because we are already rooting against ourselves. So here are some important ways you can prepare for your interview: Analyze the job description: This is obvious but crucial. Before you can determine what you want to put across in your interview, you need to know the details of the job in question. This means knowing the day-to-day responsibilities, the travel required, and who your supervisor will be. It also means you know the skills the interviewer will expect to see and even anticipate some of the questions. Learn about the organization and the department: Go to the organization's website and determine its mission statement and its current projects. You will almost certainly be asked about those. Also, review their social media, recent stories in the news, and their annual report. Ask yourself what you can offer them and how you have demonstrated a commitment to their values in the past. Be prepared to explain why you want to work for them over similar organizations. Basic competency questions: Consider the core skills required for the job and how you have demonstrated them in the past. The Leadership Institute's Job Seeker's Guide (pages 17 & 18) contains a list of competency questions you should be able to answer. Plan your outfit: Have your outfit picked out the night before. If you're indecisive about what looks good, this will give you time to work it out. Just don't change your mind in the morning! I recommend wearing business clothes you have worn before. Materials: Do not leave this until the last minute. Otherwise, you risk forgetting important documents. Take three copies of your resume printed on professional paper, two lists of references, letters of recommendation, writing samples, and take a notepad to jot down relevant information and anything you promise to send the interviewer as a follow-up. Logistics: Plan ahead when it comes to your interview. How are you getting there? How long will it take? What potential pitfalls could delay you? I recommend checking traffic reports and weather. If it's going to be hot for example, you don't want to sweat because you have walked a long distance. You may even want to allow time to change your clothes. Other: Think of anything else you may need, for example, something to eat or drink, or any medication. Interviews are stressful, but with preparation, you have every right to feel confident! If the employer has asked to interview you, it's because she or he thinks you are qualified to do the job; so don't sabotage yourself by failing to do basic preparation. For more great interview advice, check out LI's Job Seeker's Guide. Conservative students are routinely harassed and attacked for their views. This environment can make starting a dialog on the issues difficult. 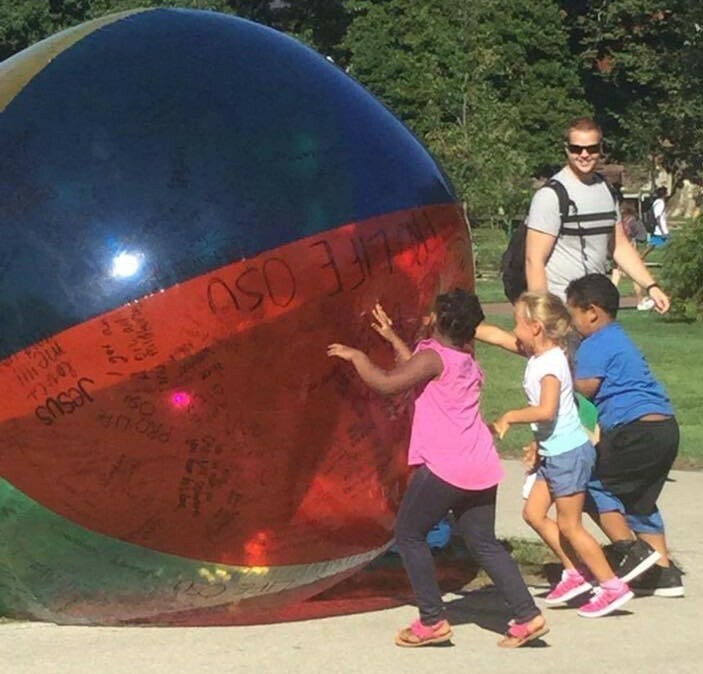 Students for Life at the Ohio State University celebrated #GreatDay2BeAlive by encouraging people to share why they were glad to be alive on their giant beach ball. This fun and inviting activism event resulted in great dialog about the right to life with over 150 people. Leadership Institute Field Representatives are equipped to help conservative groups put on successful events, like the one at Ohio State. Contact your Field Representative today to learn how they can help you.